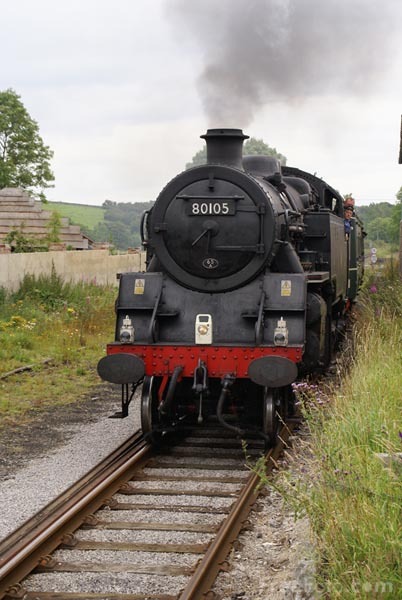 Picture of the driver of British Railways 2-6-4T 80105 hauling the new steam-hauled train service on the Wensleydale Railway on the 1st August 2007. It was the first time since April 1954 that daily steam trains operated on the Wensleydale Railway. These pictures show the very first train. The 10:35 from Leeming Bar to Redmire. VIEW: More images from the category Steam train on the Wensleydale Railway or taken at the same location or around the same time .